I watched this straight to Blu-Ray horror title with low expectations. It was a bit better than I expected, nearly on par with an episode of True Blood. None of the lead actors are very good, though newcomer Danny Agha shows promise. Love interest Mariana Vincente is particularly wooden. Supporting actor Johnathan Schaech and villain Billy Blair turn in good performances. The writing is simple and fairly predictable, with a few patchy areas of poor continuity. Overall, the film is watchable, but has little to recommend it. 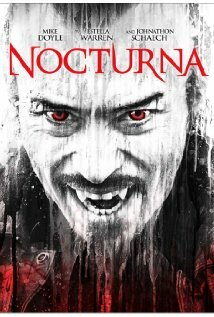 This entry was posted in movies and tagged billy blair, danny agha, horror, johnathan schaech, mariana vincente, movie, nocturna, review, vampires. Bookmark the permalink.